News that at least eleven members of the Cabinet plan on confronting the Tory leader on Monday and asking her to resign follows reports of a “Murder on the Orient Express” meeting with party whips, who told her there was no way her deal with the European Union, already rejected by MPs twice, could possibly succeed on a third attempt — unless it came with a promise that she would go after it was passed. The Prime Minister was reportedly “taken aback” by the whips’ call for her to fall on her sword, but ultimately unmoved — however, with her Cabinet already fighting over who should replace her once she is deposed, the decision may soon be out of her hands. Just reviewing the sunday papers. Not often they all agree. This week they do: absolute blood bath for May- and the cabinet, finally, is moving in on her. The early frontrunner to succeed her as a “caretaker” prime minister of sorts was David Lidington, the Minister for the Cabinet Office and Chancellor of the Duchy of Lancaster — and, controversially, David Cameron’s old Europe Minister. As a staunch europhile, proposals to elevate Lidington to Downing Street have caused Cabinet Brexiteers to baulk, with Michael Gove, the Environment Secretary, being touted as a possible replacement. Gove was one of the Vote Leave campaign’s leading men, behind only Boris Johnson — but found himself cast into the political wilderness after throwing his own hat into the leadership ring rather than getting behind the two-time Mayor of London. Gove was brought back into the fold by Mrs May after the 2017 snap election, however, and has become a key ally, although rumours he would back keeping the United Kingdom in both the EU’s Customs Union and Single Market — the weakest possible form of Brexit, affording even less sovereignty than is extended to European Economic Area (EEA) states such as Norway — are already receiving pushback from senior Tory backbenchers, such as former Brexit minister Steve Baker. Lidington and Gove are held to be more desirable choices for a caretaker or interim leader because it is thought they will not try to become leaders for the long term once the Brexit impasse is clear — although there are suspicions Gove, in particular, would attempt to solidify his premiership once installed. Other possible successors to Mrs May are Jeremy Hunt, the Foreign and Commonwealth Secretary and former long-time Health Secretary, who is a former Remainer in the David Cameron mould but in recent weeks has reportedly been attempting to sell himself as a leader who could deliver a “Managed No Deal”. Another contender is Nicky Morgan, another Remainer who nevertheless joined the aforementioned Baker and others in backing the so-called “Malthouse Compromise” for a Managed No Deal of sorts during the recent parliamentary struggle over what to do following the defeat of May’s deal. 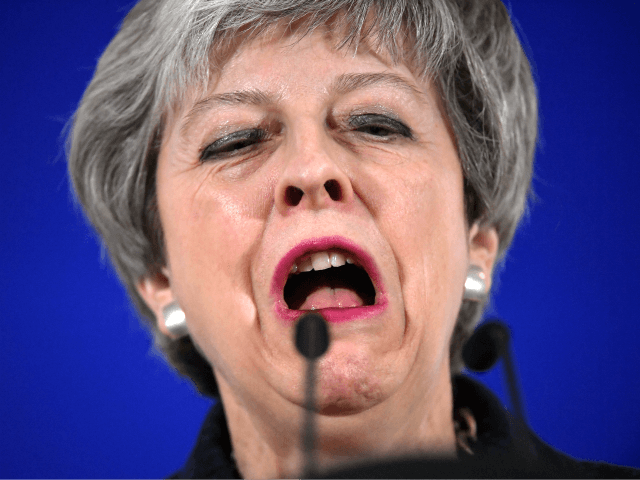 However, she has previously appeared to align herself with Nick Boles and other MPs pushing an ultra-soft Brexit, and is not currently a Government minister.